12 Fret Heritage goose with gorgeous Mahogany back and sides and Boucher's Master pack accompaniments! Guitars from Heritage Goose series are crafted for the best tonal results. It will deliver mids and bass depth while finger picking even using a capo at the 7th fret. Evenness and richness of sound will surprise the most accomplished players. The ability of this instrument to adjust to your musical style will elevate your playing to the point of your finding it difficult to put it down. Many fingerstyle players have told us that they feel immediately became better musicians as soon as they played our Heritage Goose. This gives us at Boucher Guitars a great sense of pride to help you accomplish your full musical potential and to boost your creativity. 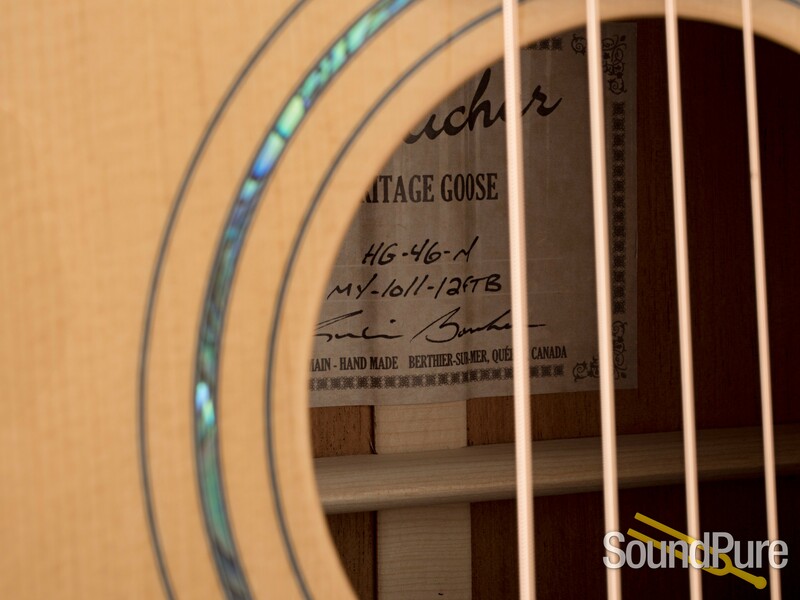 The Heritage Goose is built using torrefied Adirondack spruce personally selected by Robin Boucher for both the bracing and the soundboard. 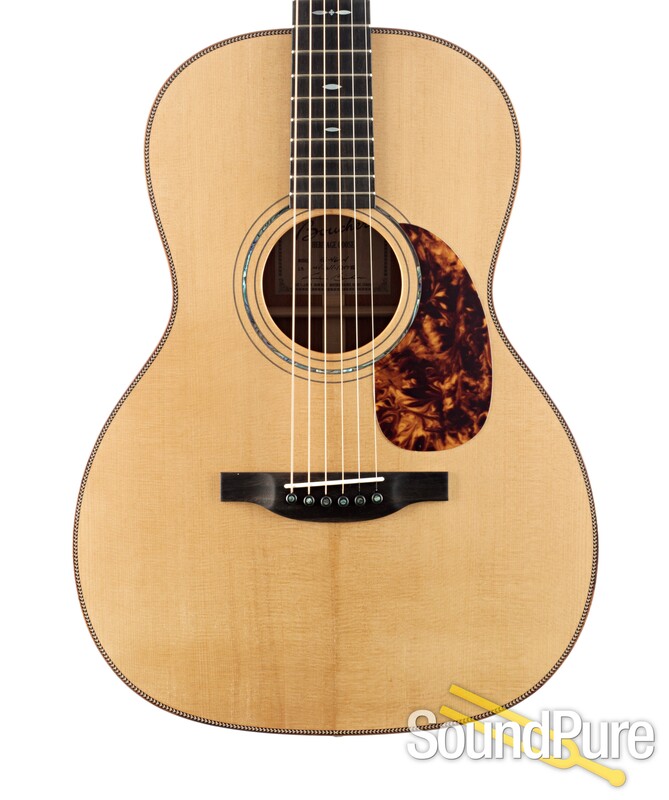 ?Its incomparable playability and versatility will make it the ideal guitar to satisfy your most ambitious aspirations. 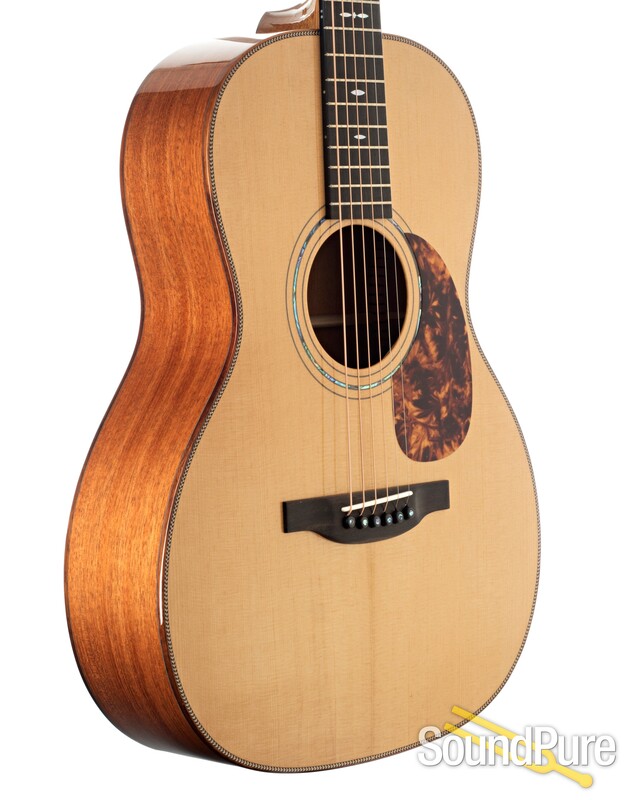 The Heritage Goose is the perfect guitar for your Fingerstyle projects! 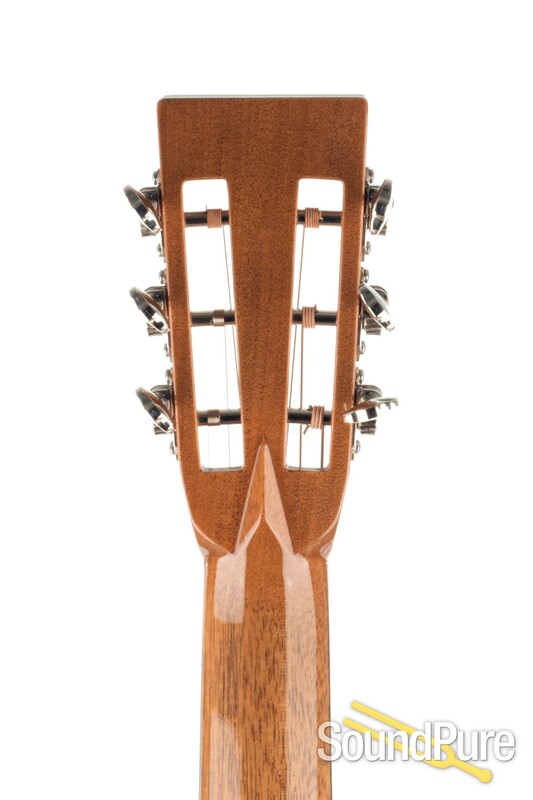 The world of guitar making proclaims that at least 70% of the sound properties of a high-end acoustic guitar have a connection with its soundboard and bracing. Boucher Guitars supports this view. 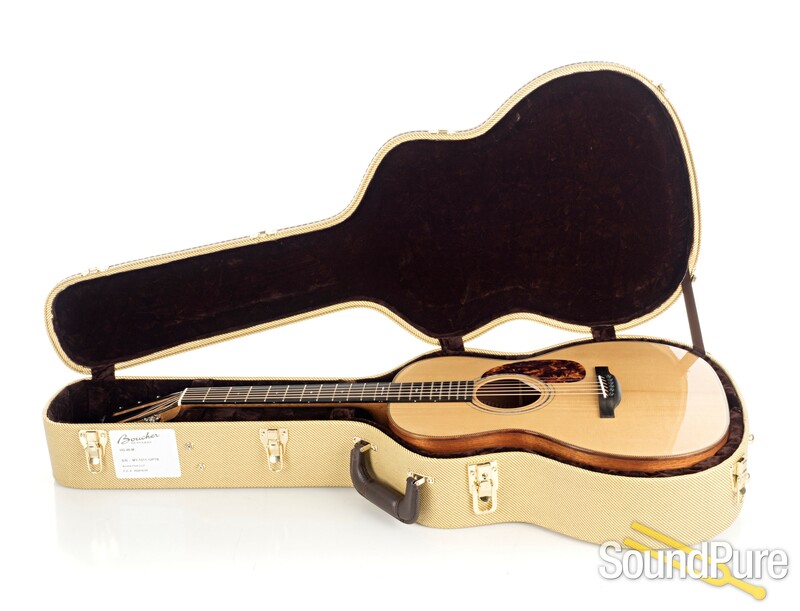 The quality of the materials used in the making of a soundboard is, therefore, crucial. 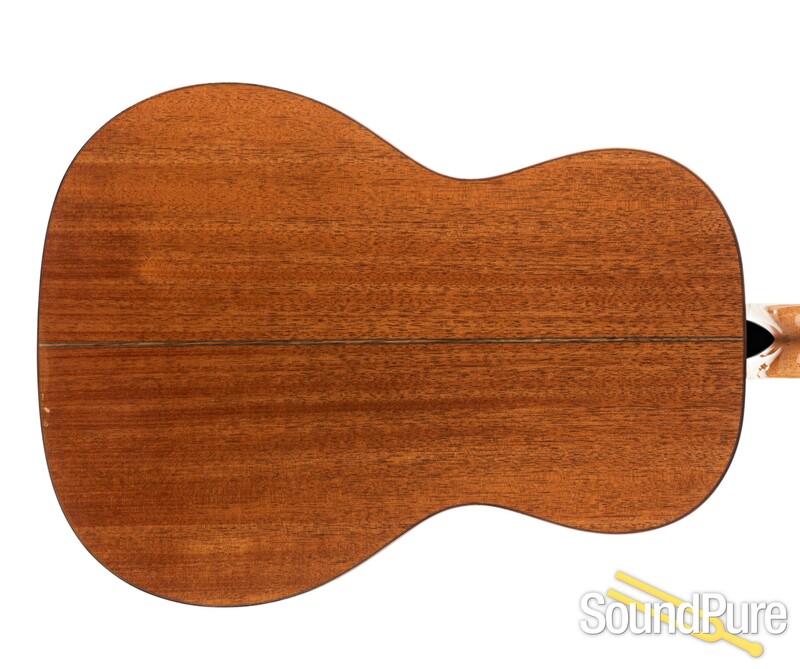 The Adirondack red spruce is, to everyone, the Holy Grail of wood species to consider when designing soundboards. 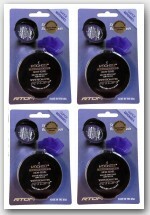 However, its great rarity limits its use among manufacturers. 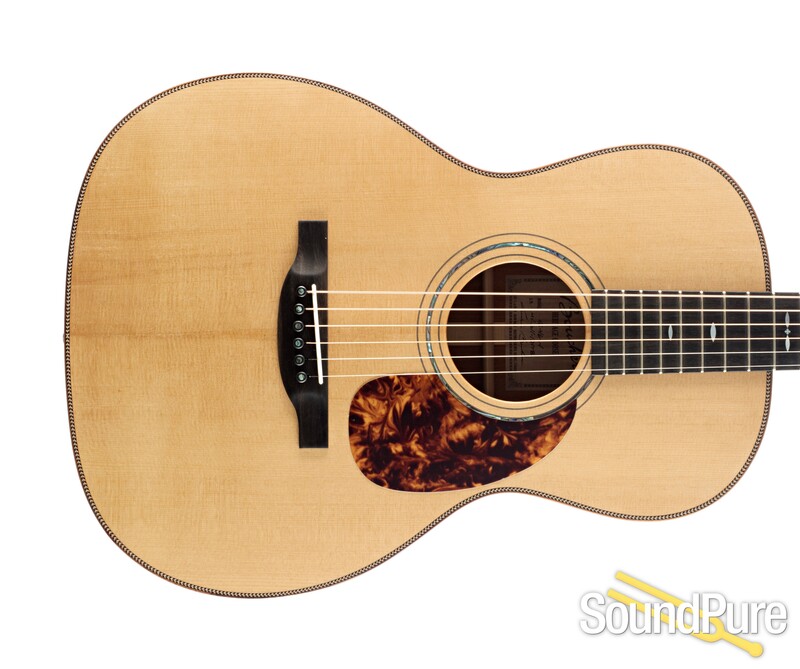 Imagine the impact of a “Master Grade” Adirondack red spruce soundboard on the sonority of your guitar! And that is not all! 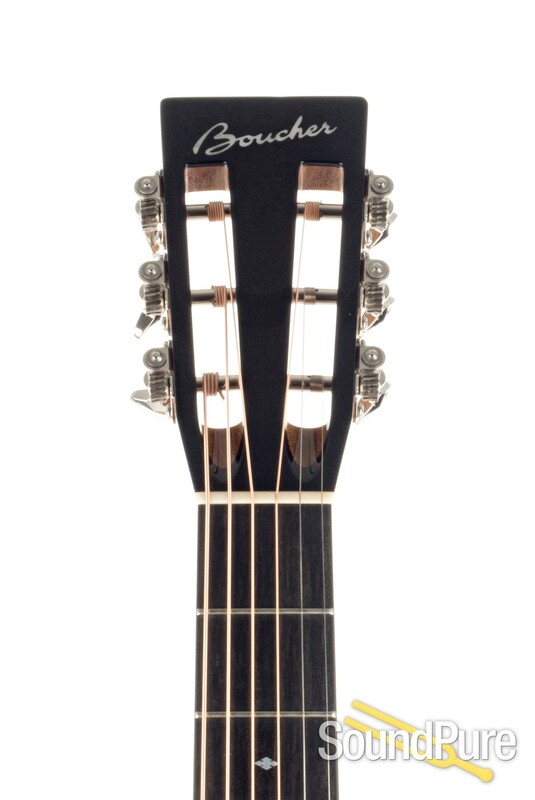 All Boucher guitars with the MASTER GRADE PACK® include a rosette ornamented with abalone inlay and Koa body bindings. 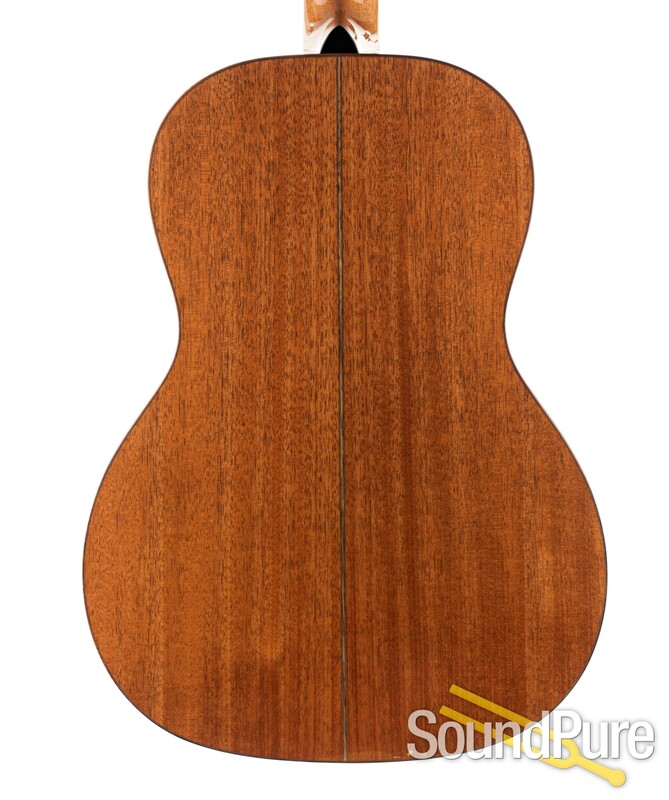 This is to support the quality assurance and extreme rarity of a Master Grade Adirondack soundboard. We thought of you and of everything!